The author of the recently published book, “Creative Strength Training: Prompts, Exercises and Personal Stories for Encouraging Artistic Genius“, Jane Dunnewold, will be giving a talk on August 12th at the BI Museum of Art about strategies and exercises for cultivating creativity. She will also offer a workshop on August 13th. In this 9-minute podcast interview, the author explains that having strategies for bringing forth our inner creativity, whether for writers or artists in any medium, is not unlike any athlete who trains with exercises that are both physical and mental. And this will be the subject of her lecture, relevant to anyone aspiring to be more creative. Copies of her book will be available for purchase and signing after the lecture. 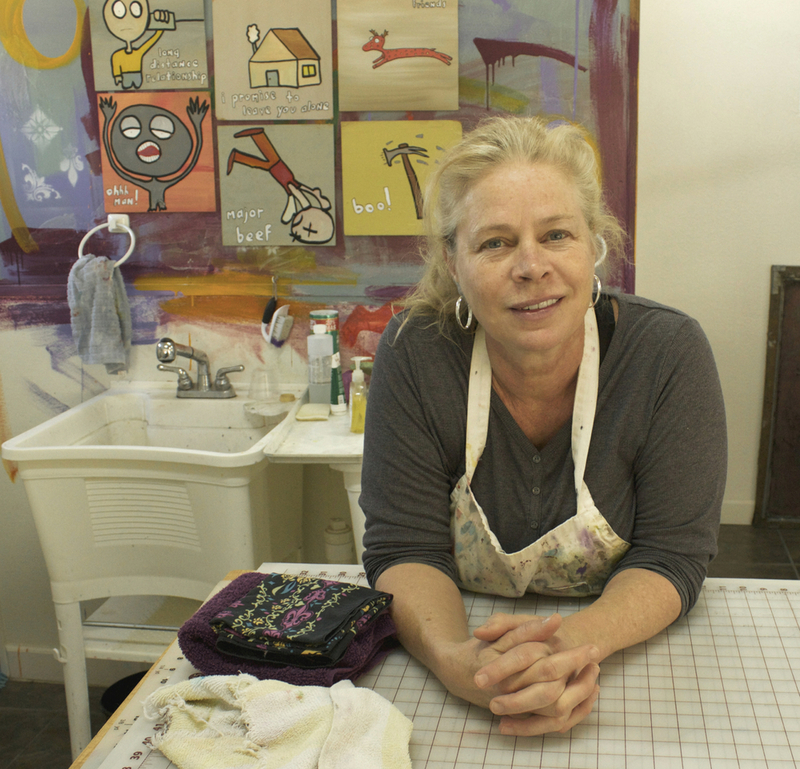 Jane has also been a teacher for over 20 years, and is a former president of the International Surface Design Association. “Surface design” in this context applies to the design and patterning of the surfaces of textiles (including, for example, the fabrics that might be stitched into quilts). In this interview, Jane also talks about the workshop she will be giving on August 13th that will incorporate principles from her extensive experience teaching surface design techniques that have a broad application beyond quilting. 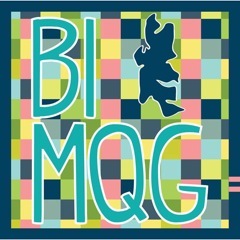 In our BCB podcast studio, two board members of the BI Modern Quilt Guild, Kerry Smith and Kathy Dwyer, also tell us about the Guild and about the upcoming Quilt Festival on September 10th. They explain that they are currently welcoming submissions of quilts from local quilt makers. See the Festival page of their website. Tickets for the lecture can be purchased at Brown Paper Tickets, as can tickets for the workshop. Or visit the Guild’s web page for the event. BCB apologizes for the poor sound quality of the skype connection to Jane Dunnewold during our BCB interview with her at her home in San Antonio, Texas.